Discussion in 'Vape Reviews' started by sourcemore, Apr 17, 2019 at 5:10 AM. 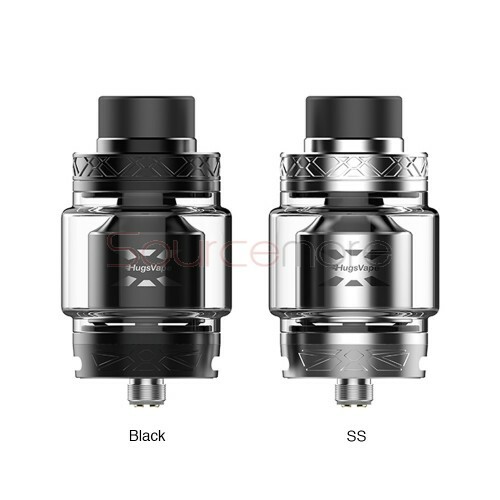 Ring Lord Mesh RTA features 26mm diameter with 2ml e-juice capacity. With an extra bulb glass tube, it can hold up to 5ml e-liquid. Made of high quality stainless steel and glass, it is more durable. Featuring the single coil build deck, it is easy for building. With unique U-shaped gold plated push mesh style wire, it can bring smooth airflow and optimal flavor. Plus the convenient top filling design and bottom airflow adjustable system, it is definitely a great vaping device for you. Available in SS and Black. VAPE FESTIVAL FOR SPRING:Get $500 free luck Coupons!